If you’ve ever attended an art class, either at school or on your own time, you know that balancing the negative and positive space in a piece–whether it be a piece of art, a corporate logo, or even a t-shirt design–can be just as important as, say, choosing the right colors to match the mood, tone, or emotion of the piece. While abstract and off-kilter designs can be just as fascinating, it’s common knowledge that the human eye is attracted to symmetry and good proportions. Think the rule of thirds for photography, or the golden ratio in art and architecture. So, what is negative space? And how is it used? Simply put, negative space is the space between, or around, an object or piece of an object. Another way to describe it, in design terms, is the white space between or around an object. 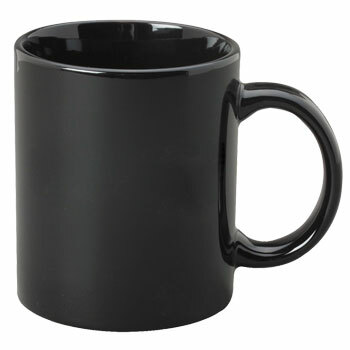 An example that you can find in everyday life is the space between a cup and its handle. Another ace example of negative space can be found in popular optical illusions, like Rubin’s Vase. Can you see the vase? Do you see the two faces? FedEx is probably the most famous example of using negative space in a logo. If you look carefully, you’ll notice that there’s an arrow between the letters “E” and “X” due to the lack of space between the characters. Once you see it, you’ll notice it every time you see the FedEx logo. It’s a genius design. FedEx is a shipping company. The direction of the word goes left to right, as does the arrow. The arrow works like a logo on its own, signifying forward movement, direction and action. The designers really scored a goal with this one! The resident hockey team of our nation’s capital has a little secret hiding in the negative space of it’s logo. Drawn with razor sharp accuracy, like an Alex Ovechkin wrist shot, you can see the round, pointed shape of the United States Capitol building. Beyond that, the eagle takes the shape of the letter “W” for Washington. Sports teams have lots of great examples you can use for inspiration when designing your next t-shirt. USA Network, the television network probably most well-known for showing reruns of Law and Order: Special Victims Unit, has a sleek logo that might spark some ideas on how to use negative space if you’re designing a t-shirt that needs to include a company name or some sort of short slogan. In the negative space between the letters “U” and “A” you can clearly make out the letter “S”. If your company name or initials are short enough, you might be able to make a pretty interesting design out of the space between your letters. While the organization is famous for its delicious cookies, the Girl Scouts might not be as popular without their wonderful logo. The image’s graphic designer, Saul Bass, is more well-known for title sequences in movies, like Alfred Hitchcock’s Psycho. The Girl Scouts design hearkens back to Rubin’s Vase by using the negative space behind the first girl to create the illusion of multiple girls. Probably our favorite use of negative space comes from The Swan & Mallard restaurant identity concept, by UK designer John Randall. Although the restaurant doesn’t actually exist, this is a brilliant example of making the most of negative space. The swan is visible at first glance, but the mallard is found in the negative space. The two combine to create an ampersand, which is used in the restaurant name, and visually link the swan and mallard together. So there you have it! Using negative space in your design concept is just one aspect of creating a novel, interesting t-shirt. Whether it’s for your next company outing, a bachelor party, or just hanging out around the house, hopefully these designs spark your creativity and get you thinking differently about ways to design a killer t-shirt.